The world’s best trail riders are the Extreme Enduro riders, motorcycling athletes who can ride almost any terrain on our planet. I’m talking about the likes of New Zealand’s own Chris Birch and his compatriots who compete in grindingly tough rides like Erzberg Rodeo, Romaniacs and Roof of Africa. Almost to a man they honed their technical riding skills on trials bikes, either in competition, or by spending many hours practicing on trials bikes. extensive time on trials bikes is a common thread of experience among these riders. While some racers merely practice on trials bikes, the likes of Merriman, Blazusiak, Lettenbichler, Lampkin, Jarvis, Bolton and Gomez were all world-ranking trials specialists - turned trail racers. 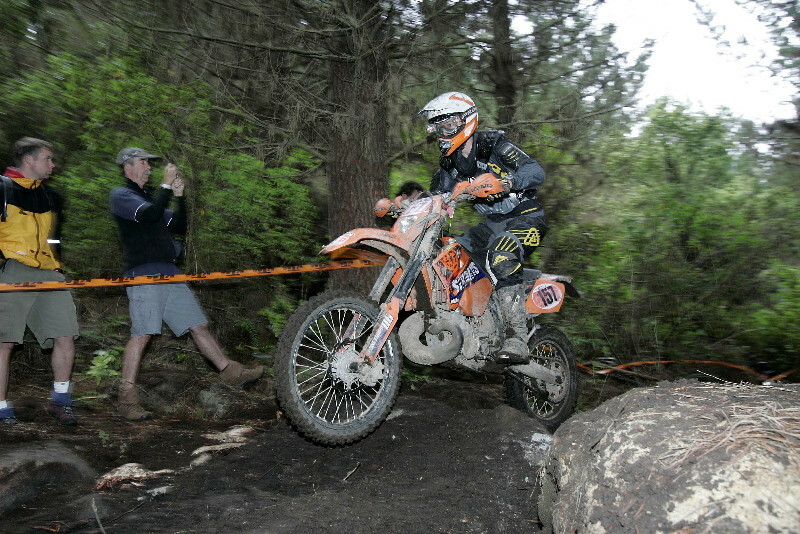 NZs own Chris Birch, trials rider turned National Enduro Champion and International Extreme Enduro star. Obviously these riders have extraordinary ability that allows them to conquer seemingly impossibly technical terrain, but there’s no doubt in my mind that a large part of their success is due to their experience and training on trials bikes. Now the exploits of the real hard men of trail riding are recognized in the World Super Enduro Championships and the AMA Endurocross Championships as well as the iconic long distance natural terrain events like Erzberg, Hell’s Gate, The Tough One, Red Bull Romaniacs and Roof of Africa. So while we acknowledge the skills of these extreme athletes let's take a look at trail riders like you and I, young and not so young. Riders of all skill levels can also take advantage of riding trials bikes to improve skill sets. To understand what makes the trials bike the secret weapon for developing skills it’s useful to take a brief look at where trials have come from. Trials is one of the oldest of motorcycle sports. In the early 1900s just getting a motorcycle over the rough roads of the day was an achievement. Early trials competitions were run to prove the that machines of the time could conquer the climbs on steep rural roads without stopping or breaking down, thus helping sell the concept of motorcycling to a population more used to plodding along in horse carts. Competition soon improved the bikes and the riders and the sport blossomed to the extent that by the 1950s dedicated trials models were available and the level of terrain being conquered became increasingly impressive. The heyday of trials was in the 1960s but to this day Trials is still very popular in Europe. Weighing in at under 80kg (up to 40kg less than many enduro bikes) the modern trials bike has shorter travel, plusher suspension, lower gearing and more bottom end pulling power compared to an enduro bike. While it can’t match the enduro bike for speed over rough ground, the trails bike is unbeatable in really tough going, scaling rocks, logs and obstacles which would be virtually impossible for average riders to achieve on an enduro bike. 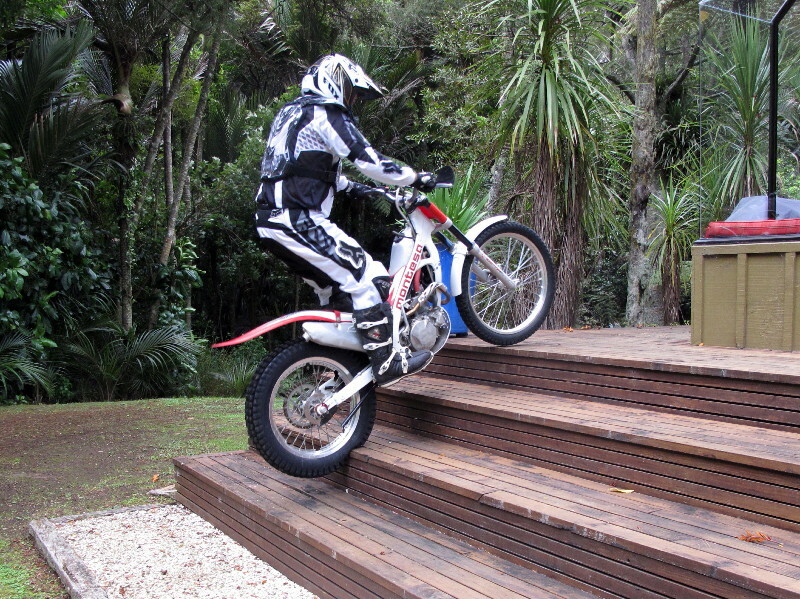 Trials bikes can be used to practice almost anywhere, in a small area and without annoying folks or causing a mess. The beauty of practicing on a trials bike is that it allows the rider to more quickly appreciate the fine aspects of control. The technique of weighting the footpegs is immediately felt, as is the connection between wheelspin and body position, and the importance of proper throttle and clutch use. These all-important relationships are easily practiced on a trials bike and in turn the techniques can be applied to improving your skills on heavier enduro bikes. Riding a trials bike will feel weird at first, the bikes are so much lighter and therefore handle far more responsively. As all trials bikes are kick start only you will need a good healthy kicking action to fire them up, something some riders used to electric legs might need to learn. There's no seat on a trials bike either, so all riding is done standing on the pegs and its this enforced change of style that brings more dividends to those who give it a go. Though trials bikes have less top end power than enduro bikes they have plenty of instant urge that is harnessed by use of the correct gear and a lot of clutch control. While trials bikes definitely have their limitations for easy trailriding, in extremely tight and technical conditions trials bikes do have the edge being more manoverable, finding better traction. Over a long day of extreme trailriding a rider will expend a lot less effort on a trials bike and if the terrain is difficult enough, the trials bike can go easily continue past the point that any sane rider will take an enduro bike. There are also some other neat things about trials bikes that make them so useful about the home. 1. Because trials bikes are fun at low speeds you don’t need a lot of space to practice, most gardens are big enough to set up some kind of a course and the special squashy tubeless trials tyres don’t rip up the ground. 2. Trials bikes are so quiet the neigbours don’t even know you are riding in the back garden. It’s easy to create some obstacles out of scrap timber or, like I do, use features like decks, walls and steps. 3. Trials bikes are low to the ground, mums and kids can ride them – now there’s some cunning logic in that point. 4.Trials bikes cost little to run, they use less fuel and tyre wear is minimal, even chains, brakes and sprockets will last longer than with an enduro bike. 4. Take your trials bike to the bush or mountains and go trail riding. You might have to carry some fuel, but you will be amazed at how much further you will get in tough terrain than on your enduro or mx bike. To see more about trailriding on trials bikes, click this link.